Not everybody have car, correct? And usually we get problem to find rent car. Pricing, car type, location and availability we cant track. In this case we try to solve the problem using this app. 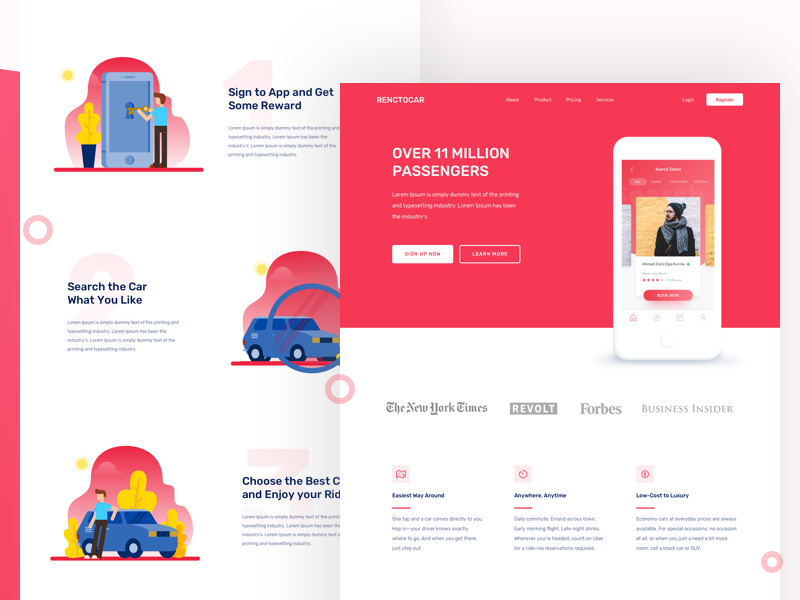 We start from landing page concept. We have 3 option. Help us to choose and leave the feedback. So we can improve on the next step. Mobile App design will release soon. Dont forget to follow and stay tune!